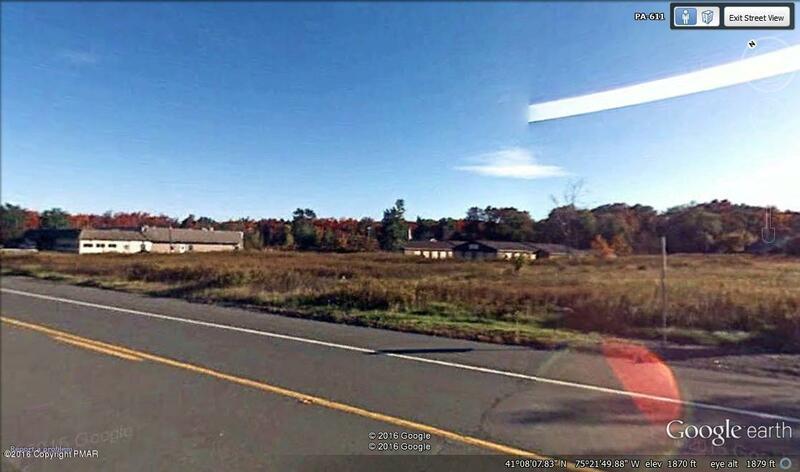 Commercial site for sale in Mount Pocono. The 2.15-acre site is mainly cleared and flat. 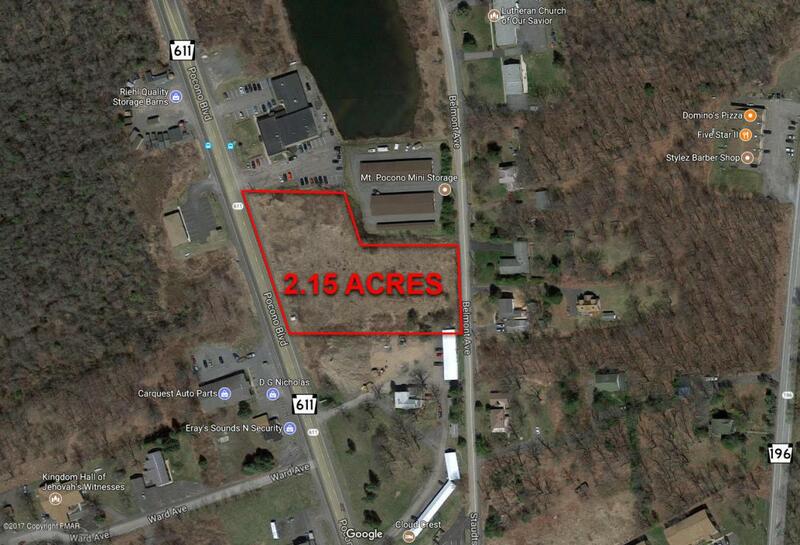 The property can offer ingress and egress from State Route 611 as well as Belmont Ave. C-2 zoning allows for uses such as automotive, restaurant, medical office, storage facility, church, or apartments. Site serviced by public water and sewer. 2 EDUs included with full price offer. More EDU's available for purchase. Owner would consider NNN land lease for credit tenant.